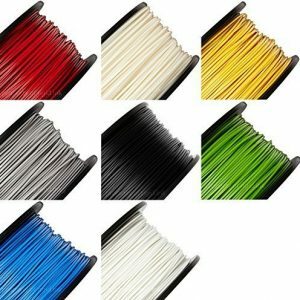 29 different 3D filament colors. Why settle on twelve? Is your creativity limited by colors? 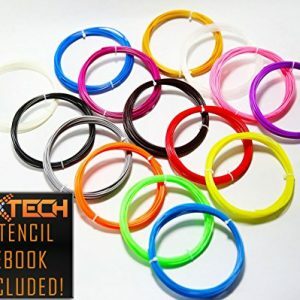 You get 5 Glow in Dark 3) Fluorescent 4) Transparent & 17) Radiant colors. 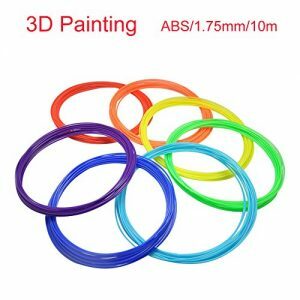 ABS 1.75. Bonus print surface. NEW NORMAL 29 Unique Colors. 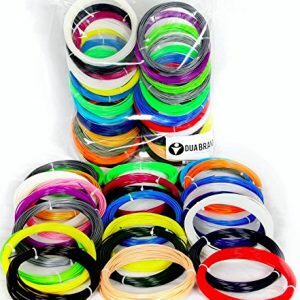 You could pay almost as much for just 12 colors Includes 5 glow in the Dark, 3 Fluorescent, 4 transparent, plus 17 more. 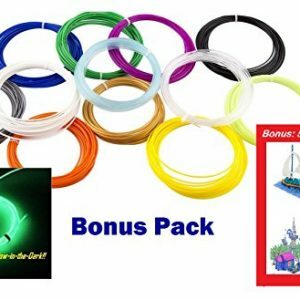 Heat sealed package with desiccant pack to insure moisture free. 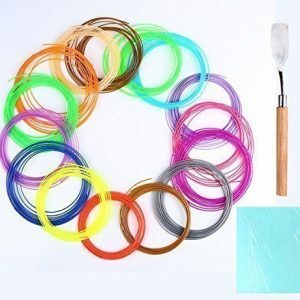 Individual coils with reusable twist ties. 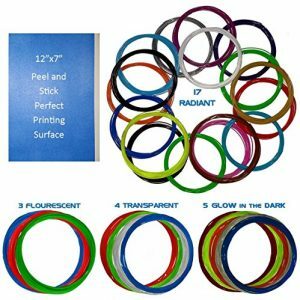 32 Feet / 10 Meters Per Color Grant you Ultimate Printing Experience. 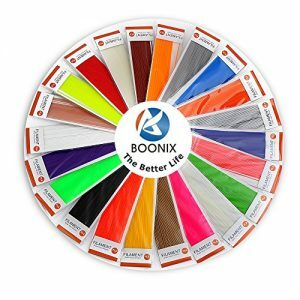 12 Top Selling Color Ignites your Ultimate Imagination. 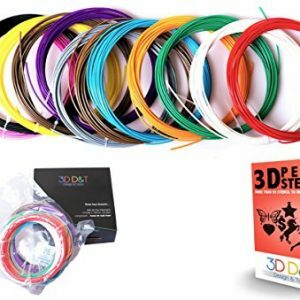 The Ultra Smooth Technology makes our Filament Extrude Beautifully and Smoothly that provides a Constant Printing Pace for Hand Printing Object. 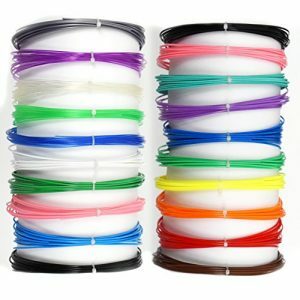 12-roll sampler of ABS filament in 20-ft rolls (240 linear feet), 1.75mm in diameter. A great value! 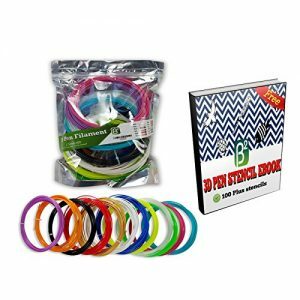 Made of premium ABS engineered plastic, ideal for making bendable items & drawing upwards off paper. 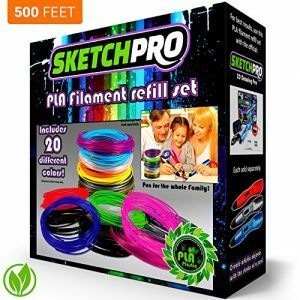 Each roll is vacuum-sealed in a plastic bag with desiccant pack to ensure filament stays fresh. 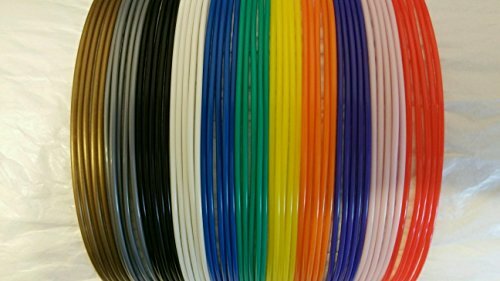 OVER 850 FEET COMBINED FILAMENT – Yes, you read correctly. 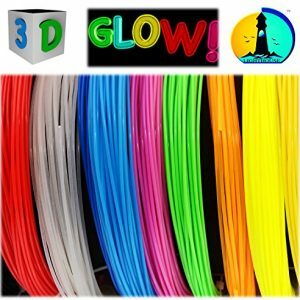 852.2 combined linear feet of filament. The largest sample pack available! 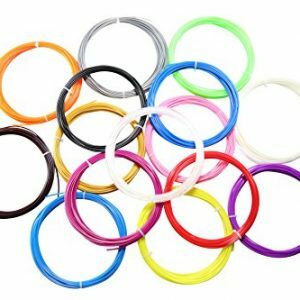 LOWEST PRICE – Take advantage of our lowest price per FT 19.99/300=0.066 per FT! Do the math! 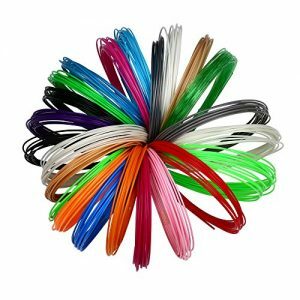 15 UNIQUE COLORS 20FT EACH – Your creativity won’t have limits with this great variety and volume. 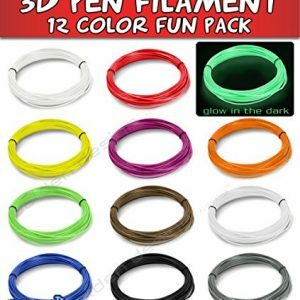 1.75mm 12 different kinds of color ABS regular plastic filaments, plus 3 glowing luminous filaments, in deferent assorted rainbow colors. Guaranteed best melting results, smooth melting flow in fine texture. 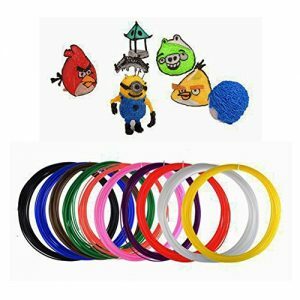 Made and processed based on many types of ABS 3D printing pen to insure suitability and quality. 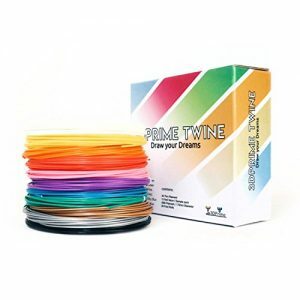 Measured of 16 feets long each filaments color, which is longer than the other filaments brand. 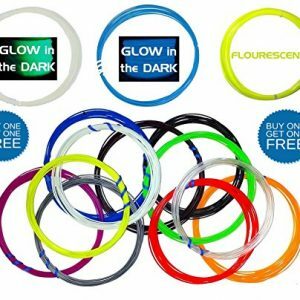 BUY ONE GET ONE FREE 14 Colors, 2 Glow In The Dark. 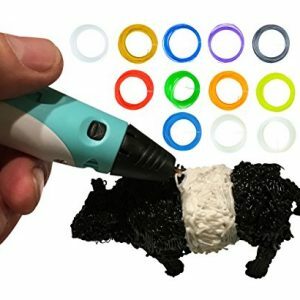 For 3D Pen. 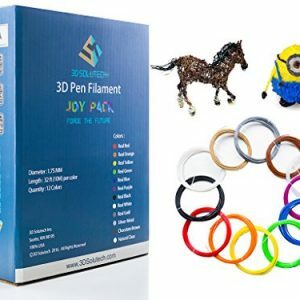 Get Creative with Fun Pack! 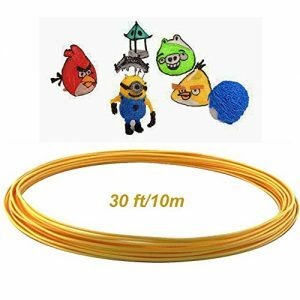 280 Ft. Quality ABS 1.75 Filament. 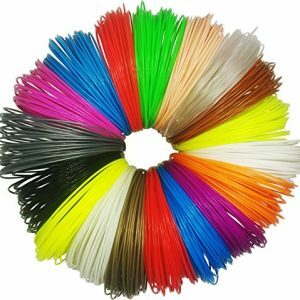 Most Colors at the Best Price! 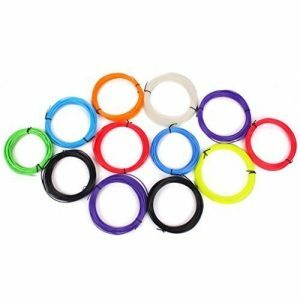 Individual coils with reusable twist ties. 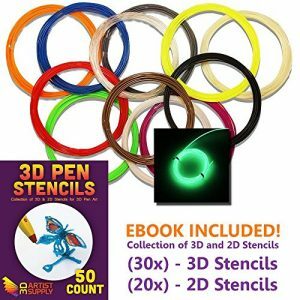 50 STENCILS COMPLIMENTARY eBook – 2d and 3d drawings combined: use your 3d pen refills and filaments right away ! 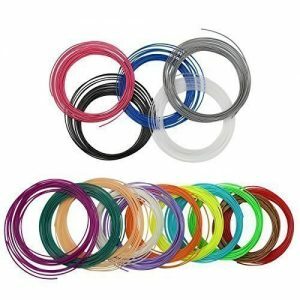 ABS Plastic Refills in 30 feet/10m,multicolor for your choice. 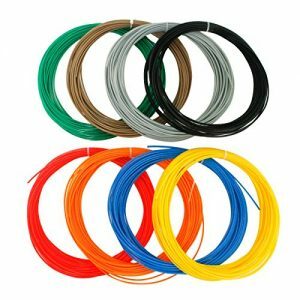 1.75mm Filament Diameter (Dimensional Accuracy +/- 0.05mm). 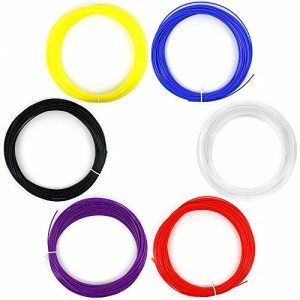 ABS (Acrylonitrile Butadiene Styrene) 3D Pen Filament Vacuumed Sealed. 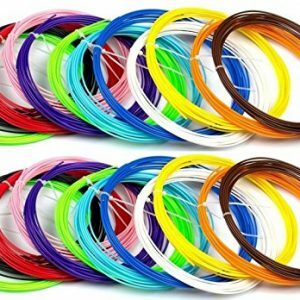 SAFER, STRONGER, BETTER – Nontoxic PLA is a clean & safe alternative to ABS 3D pen filament. 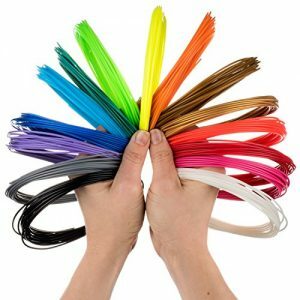 500 TOTAL FEET OF FILAMENT – Our Filament Refill Kit includes 20 different colors at 25′ per color! 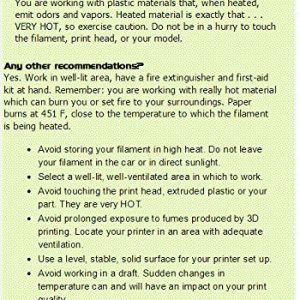 ENVIRONMENTALLY FRIENDLY – Unlike ABS, our premium PLA filament doesn’t smell and is Safe for Kids! NON-TOXIC!!! The safest option for kids! Better for your health AND the environment! UNIVERSALLY COMPATIBLE!!! 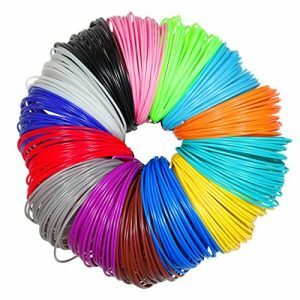 Our 1.75mm filament works with most 3D pens and many 3D printers!